A power supply is an electronic device that supplies electric energy to an electrical load. The primary function of a power supply is to convert one form of electrical energy to another and, as a result, power supplies are sometimes referred to as electric power converters. 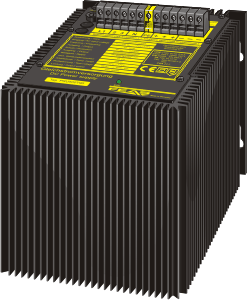 All power supplies have a power input, which receives energy from the energy source, and a power output that delivers energy to the load.